The Styrian ÖVP women’s spokeswoman and former restaurateur was only 49 years old. The Styrian ÖVP Member of Parliament Barbara Krenn died after a great illness at the age of 49 years. This was announced by the ÖVP on Wednesday. “With Barbara Krenn we lose an extraordinary personality, which has shaped the policy with their commitment, zest for action and their cordial nature,” said Chancellor and ÖVP CEO Sebastian Kurz. Krenn was since November 2017 in the National Council and ÖVP women’s spokeswoman. She was married and leaves a daughter. Krenn was a well-known restaurateur in Upper Styrian Pürgg, after a failed operation in 2014, she was paraplegic. For several years she was mayor of the community of Pürgg-Trautenfels and a dedicated tourist and business treasurer. “Barbara was ripped out of our midst much too early, she was just 49 years old, she was always a role model in life, she mastered many fatalities in her life, and her life energy was inexhaustible, inspiring us all,” said the Styrian Governor Hermann Schützenhöfer (ÖVP). “I am deeply saddened and shocked by the sudden death of Barbara Krenn, and my thoughts are with her family during those difficult hours,” said Federal Minister and ÖVP Women’s Leader Juliane Bogner-Strauß. “Barbara Krenn was a good friend, a wonderful person, a great woman, a successful politician and a dedicated woman rights campaigner. The second President of the National Council, Doris Bures (SPÖ) and SPÖ spokeswoman Gabriele Heinisch-Hosek, were also deeply affected. They wished Krenn’s family members, who, as women’s spokespersons of the ÖVP club, especially for the improvement of the living conditions of women, “a lot of strength in these difficult hours”. 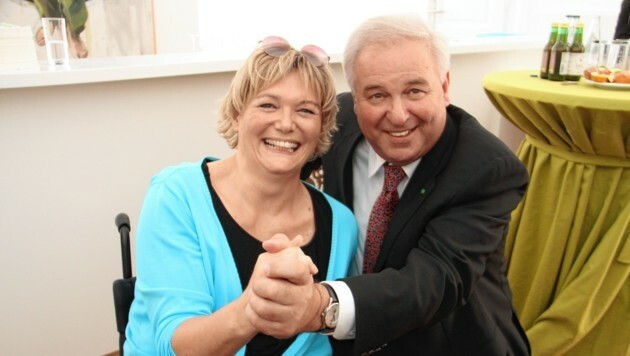 Club chairman Walter Rosenkranz and women’s spokeswoman Carmen Schimanek condoled for the PÖ. “Barbara Krenn leaves a big gap in parliament and she has always shown great humor in spite of a heavy blow to fate the hearts of the deputies,” Rosenkranz said. “She was an incredibly gentle person and a very competent politician,” said Schimanek. Deputy Neos club chairman Niki Scherak praised Krenn as an “open and committed colleague who has always worked for others”.